When June told me that she and her partner, Simon, would be heading to the 73rd convention, Sasquan, in Spokane, I put in a special request for a report back on June’s Worldcon experience. We agreed that it would focus on June’s personal experience of the Con (“Con” is established shorthand for a Science Fiction-Fantasy convention), as one NZ fan attending her second Worldcon — and “first ever” SFF convention in the summer months. It sounds like she and Simon had a wonderful time — I hope you enjoy her report. Sasquan (Washington State, USA) was my first summer science fiction-fantasy convention, since our New Zealand conventions take place over the winter or autumn (fall). So the promise of a beautiful, relatively windless summer in Spokane proved extremely tempting for this New Zealand fan – except that this year’s convention was impacted by widespread wildfires, with smoke haze throughout the city and the state. I attended Sasquan with my partner, Simon, and our first encounter with the wildfires was when we crossed from Canada into Washington and had to take the longer Route 97, as Route 33 was closed due to the wildfires. But we made it safely despite seeing smoke and grey skies all the way from just pass the Canadian border to Spokane. We were near enough to the wildfires at one point of our trip to see helicopters with monsoon buckets. It was a long, hot, slightly worrying drive due to the less than straight-forward route we had to take. All conventions start with registration so we got there relatively early on the 19th August 2015, the first Day of Sasquan. We were not in the Registration queue that long, considering that I had not been able to complete the chapter of Prudence, by Gail Carriger, that I was reading before registration was complete. We had already prepaid which also made it a lot quicker. Then it was put on our convention name badges, sit, read and wait for the Dealers Room to open at 12 noon. The queue had considerably lengthened by the time we completed Registration and picked up our convention bags. I later heard over the intercom that the registration period was to be extended. While we were waiting, we checked out the contents of our convention bags. Of note, was the Sasquan convention book with its beautiful jewelled owl cover and the smaller Sasquan Convention Guide which included the Sasquan program of events. One very useful item was the “Sasquan Restaurant Guide”. Some serious work went into this guide, in the presentation, writing and the research. We only ate at three of the places in the guide but we found it to be very reliable. There were so many places that sounded wonderfully delicious but it was just too far and too hot to get to from where we were staying on foot. We could have taken the Sasquan shuttle bus to be dropped off at the nearest hotel to any given restaurant but it would still have involved a short walk in very hot weather. First Night being the first night of the convention was like a fairground, in that it was held outside around the grounds of the convention centre, complete with an ice cream truck. It was fortunate in that this was one of the few days during the convention that was not affected by the wildfire smoke. I got a free Ben and Jerry’s ice cream courtesy of Sasquan, in honour of Leslie Turek, the Fan Guest of Honour who came up with the idea. I had a delicious butter pecan ice cream with a waffle cone for an extra $1.00. I don’t think we get this flavour in New Zealand and it came with big pieces of pecan nuts. When Ms. Turek was autographing, I got in her queue and thanked her for the ice cream. I did one Stroll With the Stars on the 20th August. 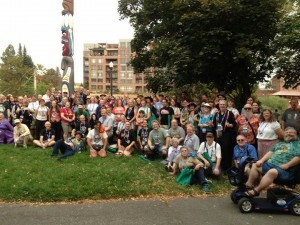 This is an activity where attendees go for a roughly 30 to 40-minute walk with the listed Sasquan “stars” – well-known authors, editors, and artists who work in the field of science fiction and fantasy. The aim of the stroll is to allow fans to have a chat, mix and mingle with the “stars”. On the 20th, it was authors, David Gerrold, Vonda N. McIntyre, Cat Rambo, Lawrence M. Schoen, editor and writer, Stephen H Segal, and singer-songwriter, Tom Smith. The strolls were organised by Stu Segal, and this event has its own Facebook page. June is in the 2nd row: look for the hat, 6 in from the right. It was an early start at 9am but the day was lovely. I picked this stroll because the two Guests of Honour, David Gerrold and Vonda N. McIntyre were going to be there. I’ve been a Star Trek fan for a very long time, so this was a very good stroll to be on for me. The area around the Spokane Convention Centre is perfect for this kind of activity – flat, scenic and elegant, just right for a gentle stroll. It also wasn’t hot at this time of the morning, which made for a very pleasant walk, and there was a refreshing breeze, I didn’t get to speak to any of the Stars but I did talk to other fans. I did see David Gerrold and Vonda N. McIntyre, but it was a very good turn-out, so it was easy not to see others in the crowd. Costumes are a big part of conventions, and I was impressed some people were already wearing them this early in the morning. The most eye catching were the steampunk costumes, which often involved layers of cloth, boots, hats and corsets, and were relatively elaborate. The most important thing I had to do at Sasquan was attend the two kaffeeklatschs and the one “Literary Beer” event I had booked prior to leaving New Zealand. A kaffeeklatsch is when you sit around a table with other fans and drink coffee, tea or something with the author or editor you booked to meet. “Literary Beer” is the same thing but you also have the option of alcohol as this event is held in the bar. Both have the advantage of a cosy, relaxed setting where you can actually have a conversation. I was following File 770, a fan news service website, to keep up with the Sasquan news. File 770 is very fast to get news and put it up on their website, so when the announcement came that you can now book the Sasquan events that require individual booking, I was in fast. These things have a limit and the limit was 10 attendees at Sasquan. 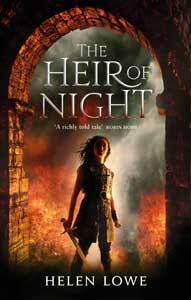 My first kaffeeklatsch was with Nebula winning Paris-based author Aliette de Bodard, on the Thursday. I have read some of her short fiction over recent years but it was her 2013 Nebula Award-winning novelette The Waiting Stars, that inspired me to buy her newest novel, The House of Shattered Wings (newly released in hardback), and get it signed at her reading. I like her short fiction. I can just about smell the food when I read some of her fiction. I prefer my genre science fiction to have a good balance of action, suspense, technology and humanity, with The Waiting Stars being an outstanding example of this mix. 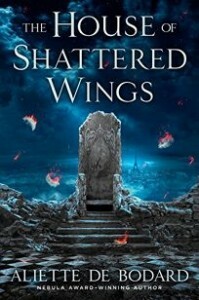 I have yet to start reading The House of Shattered Wings but I expect to get around to it before the end of the year. 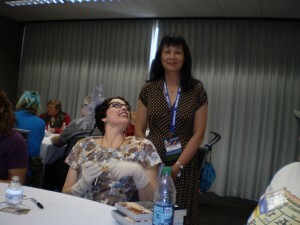 My second kaffeeklatsch was with American comedy-steampunk author, Gail Carriger, who wrote the Parasol Protectorate series. I’d been a fan of her writing ever since I read a portion of her first novel Soulless, that that came in my 2010 Hugo voter pack, when Miss Carriger was a John W. Campbell Award nominee (for Best New Writer) at Aussiecon 4 — my first Worldcon. I wore my polka dot vintage cut dress for the kaffeeklatsch. I wasn’t the only fan who made an effort. One young gentleman was very well dressed in a full Victorian black suit with steampunk accessories. “Vintage styling” is Miss Carriger’s author brand, and her fans have taken to dressing up for her events, either in vintage or in steampunk costume. I had finish reading Prudence by then and I really liked it. Good comedy is hard to find in any genre, and I find her work to be very polished. I got Prudence signed at the kaffeeklatsch, got a photograph taken with Miss Carriger, and we all got to ask questions. I will be buying the sequel, Imprudence, as soon as it is available! Part of the reason I was so desperate to finish Prudence to the point of reading it in the Sasquan registration queue was to come to the kaffeeklatsch all read and prepared for titbits of information that are not commonly available, like the name of Miss Carriger’s Orbit US editor – Devi Pillai. My other booked event was a Literary Beer with Neil Clarke, editor-in-chief of Clarkesworld. I decided to book this event on the strength of this editorial by Neil Clarke entitled “Once Again Down the Rabbit Hole.” It is a piece that made me think real hard about why I read what I read now, and I have it listed on my Hugo 2016 sheet under Best Related Work. I have a similar pattern as to why my own reading tastes have changed over the years, but Mr Clarke articulated it much better. The article then goes on to talk about influences authors had when they were developing their writing craft, and that is when it gets really interesting. All the attendees received a complimentary copy of Clarkesworld, and I got mine signed as well. 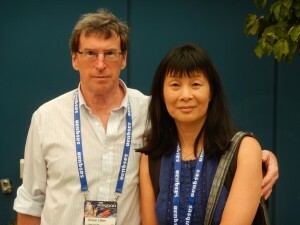 Clarkesworld Magazine won the Hugo award for Best Semiprozine in 2010, 2011, and 2013. I learnt from Neil Clarke that Clarkesworld has since stepped up to become a professional magazine and so is no longer eligible in this category. Getting books signed required a bit of advanced planning, as I either had to pack the books I wanted signed or buy new ones to be signed. This meant that I had to check out the Program Participants page to see who was attending, and then comb my bookcase for their books. A lot of the reason why Simon and I took so many books with us, and purchased more as we travelled around Canada, was that we just don’t get that many authors or people who work in the publishing industry visiting New Zealand in any sort of capacity, so we took the opportunity to buy books that we would read and get them signed. In that respect, Sasquan was “autograph heaven”. I spent three to four hours in the autograph queues. Simon got a lot of autographs as he got both his short fiction and novels signed. There were signing limits for the longer queues but if the queue was short you could potentially get all your books signed by re-queuing. I limited myself to one book per author as I had to think about getting it all home! Sasquan put George RR Martin, the author of A Game of Thrones (A Song Of Ice and Fire book series), in an auditorium with a very large seating capacity for his signing—with a big sign about what you could and could not do. In short it said “no photos of any sort and one item only”. I let out a sigh when I saw this. 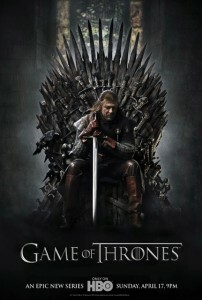 I had considered taking my one George RR Martin book to Sasquan in an attempt to get it signed, but I just knew his autograph queue was going to be way longer than any other author’s, with the risk that some fans were going to miss out. I think this was the fairest way to ensure that as many fans as possible got at least one item signed. I was in that part of the convention centre around about 1.10pm, having just attended the kaffeeklatsch with Gail Carriger. The George RR Martin signing was due to start at 2pm, and there were already fans waiting in the queue inside. I also attended American author Elizabeth Bear’s reading, where I got given a badge for her latest book, Karen Memory — which I already had on my e-reader when I was at Sasquan. I was able to read it at the airport and on the flight home, where it grabbed my attention and wouldn’t let go until I had finished. I loved it, and this too, is going on my Hugo 2016 nomination sheet under Best Novel. 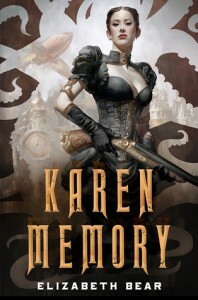 is an alternate history, steampunk Western story, and quite different to her External Sky trilogy which I had also read and really enjoyed courtesy of the local public library. I’ve always really liked the book covers that came with this trilogy, and the world-building is amazing. 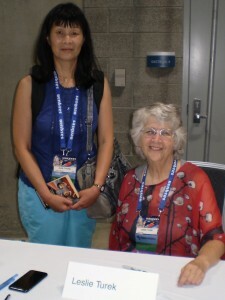 Ms. Bear is a Hugo-winning author, and needless to say, I was in her autograph queue, too. I just want to thank Sarah Monette, author of the Locus Award-winning Best Fantasy novel, The Goblin Emperor (under her pen name Katherine Addison), for staying past her allocated signing time so that everyone in her autograph queue got their books signed. I was just on, or just after the cut-off point when I got my copy of The Goblin Emperor signed, and I heard her say she could stay on to finish. I really appreciated that and I am sure the remaining fans who were still waiting in her queue did, too. Despite the size of the Convention, I managed to do all of the things I really wanted to do. I attended readings and panels, viewed the artwork, attended the masquerade and the Hugo awards, purchased books in the Dealers room and socialised. The forest fires remained a ‘constant’ throughout. A few days into the convention, signs were placed on all the exiting doors of the convention centre advising people to stay indoors because of the health risk associated with the smoke. 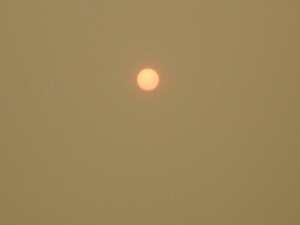 We only had about two days when there was no smoke, but I was lucky, the wildfire smoke didn’t affect me. I saw enough fans walking around Sasquan with masks on or their faces were covered with scarves, obviously much more affected by it than I was. On social media there were reports of people being ill in their hotel rooms because of the smoke, and one local fan had to rush home because her place was at immediate risk of fire. We didn’t do any sight-seeing between the smoke and the warning to stay indoors, but I had a very good time at Sasquan, and I thought that Spokane was a good choice for a convention. Thank-you, too, to all the fans who volunteered their time, experience, skills and in some cases a large part of their lives to make Sasquan happen. For readers who don’t know, all Worldcons are run by volunteers as a “not-for-profit” event. Any surplus funds that resulted from a Worldcon go to future or past Worldcons, or some local convention. No-one gets paid a wage for the two years of work they put into it: from the time they win the bid to host a Worldcon, to the work leading up to it to make sure it is up and running on the day, or for all the work that gets done to keep it running smoothly for the five days the convention is in progress, and afterwards. It is all voluntary work done for love and/or dedication to the genre, or maybe some other sentiment — but you get the idea. Sounds like an excellent event. Pity it is so expensive for us Kiwis to get there. How did it compare with Aussiecon? The biggest difference for me was that it was in summer and it was hot. I went for a swim in the hotel pool around about late afternoon every day during the convention. This cut down the events I could attend but I really wanted to go swimming. Aussiecon 4 was in late winter so I was not tempted to go swimming. The queues for autographs were shorter at Aussiecon 4, seeing less fans attended. Smaller cons have advantages – I know that now. I suspect the hotel and the convention centre were further apart for Aussiecon 4. The point being I stayed at the con hotel in Melbourne, while in Spokane I had to walk across a bridge over the Spokane River to get to the convention centre, and that still felt closer. Also the convention centre in Spokane had more restaurants around it. They were easier to spot. I am sure there were more but these spring to mind. Thank you so much for reporting to us. I really wanted to go, but I spent all my money last year and was writing during Sasquan. I’m glad you had such a good time (although it’s shame about the smoke – you could have visited me in Canberra for that!). I’m especially happy you got to meet Aliette, who’s one of my favourite people and *such* a good writer. I noticed you had been very busy.